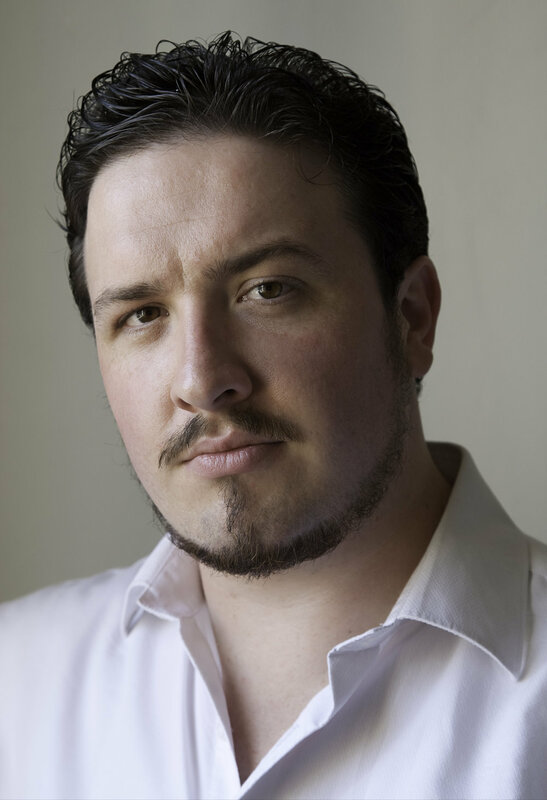 Wade Kernot held a full-time principal position at Theater St Gallen, Switzerland, from 2010-2015, where his roles included Monterone (Rigoletto), the Forester (The Cunning Little Vixen), Osmin (Die Entführung aus dem Serail), Zuniga (Carmen), Père Laurent (Roméo et Juliette), Gubetta (Lucrezia Borgia), Jacopo Loredano (I due Foscari), Wotan (Siegfried), Truffaldino (Ariadne auf Naxos), Il Pedone di Schnals (La Wally), Commendatore (Don Giovanni), Melisso (Alcina), Méphistophélès (La Damnation de Faust), Sarastro, Sprecher, Erster Priester and Zweiter Geharnischter (Die Zauberflöte), Sam (Un Ballo in Maschera), the main bass roles in Purcell’s The Fairy Queen, Frank (Die Fledermaus), Comte des Grieux (Manon), 1st Nazarene (Salome) and Handwerkbursche (Wozzeck). He has also sung Pogner and the role of Nachtwächter (Die Meistersinger von Nürnberg) at the Tirolean Festspiele in Erl. In recent seasons Wade has performed Zuniga and Sarastro for New Zealand Opera; Angelotti (Tosca), Raimondo (Lucia di Lammermoor), Arthur (The Riders) and Nourabad (The Pearl Fishers) for West Australian Opera; Mother in Seven Deadly Sins (Kurt Weill) at Sydney Conservatorium, Fred in a new work Brass Poppies, by Ross Harris, (libretto by Vincent O’Sullivan), for New Zealand Festival in both Wellington and Auckland, the bass role in Stravinsky's Pulcinella for the Hessisches Staatstheater in Wiesbaden, and the bass roles in the IFANZ/Opera de Lyon season of a Kurt Weill double bill. 2018 engagements include the role of Masetto (Don Giovanni) for West Australian Opera, Lorenzo (I Capuleti e I Montecchi) for Auckland Opera Studio, bass soloist in An Australian War requiem by Christopher Bowen with the Sydney University Graduate Choir and Verdi Requiem with Napier Civic Choir. Wade was a PWC Dame Malvina Major Emerging Artist at the NBR New Zealand Opera, a semi-finalist representing NZ in both the BBC Cardiff Singer of the World and the Neue Stimmen, in Germany, as well as a runner-up in the Lexus Song Quest. Wade sings the roles of Nettuno, Tempo and Antinoo in our mid year production of Return of Ulysses in 2019.